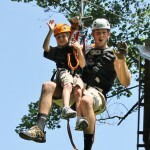 If you are interested in zip lining while on your vacation then look no further than Foxfire Mountain Adventure Park. 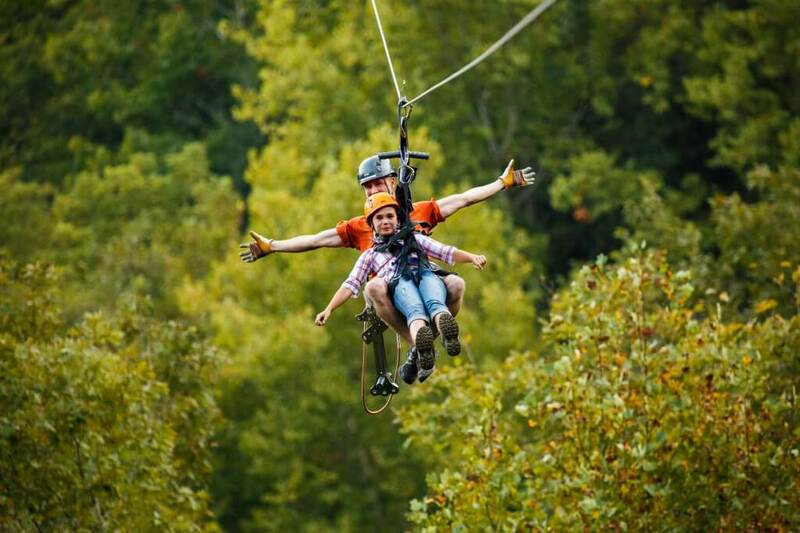 We offer 2 breathtaking zip line courses, including the longest, highest and most scenic zip line canopy tours in the Smokies. 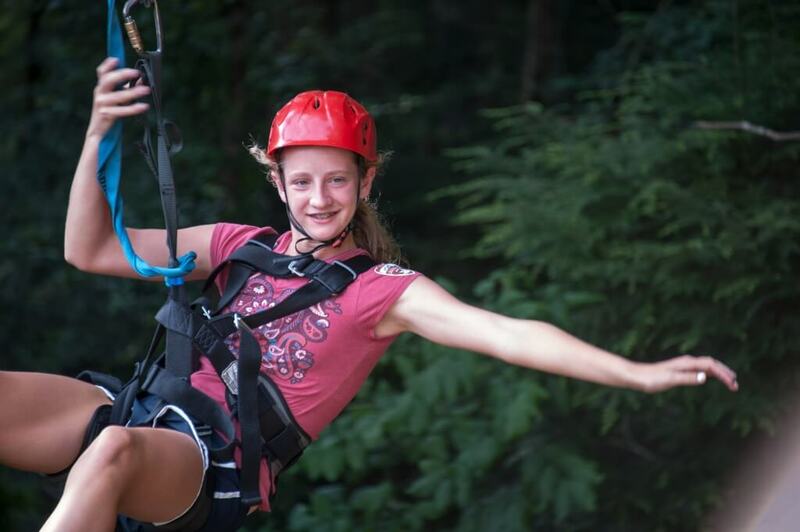 Plus, we have multiple adventure activities in addition to zip lining including: ATV Tours, climbing walls, aerial adventure courses, hiking trails, and America’s longest swinging bridge. 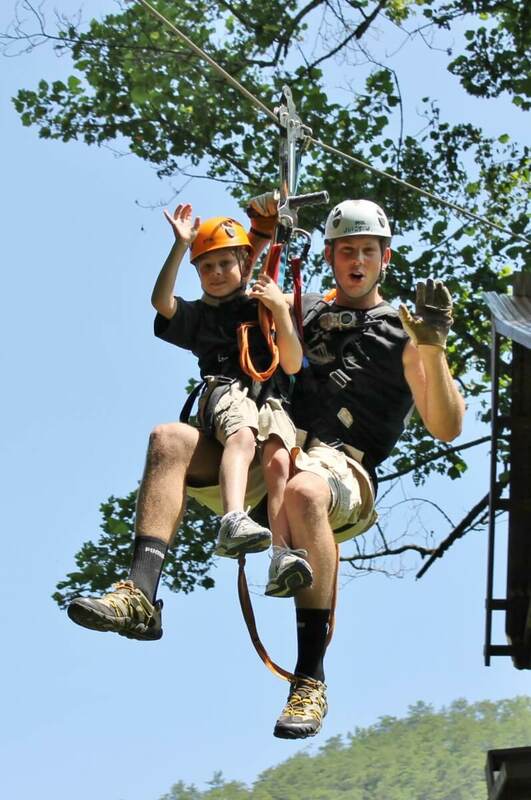 Foxfire Mountain is Tennessee’s largest themed adventure park featuring zip lines, ATV tours, high and low ropes courses, climbing walls, canopy tours, waterfall and river hiking trails and much more. 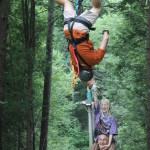 For those adventurous souls that crave adventure, items on a bucket list or the family seeking to create wonderful vacation memories, Foxfire Mountain has adventure challenges for everyone. 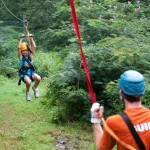 Foxfire offers 2 zip line courses for the beginner, intermediate, and more experienced zippers. 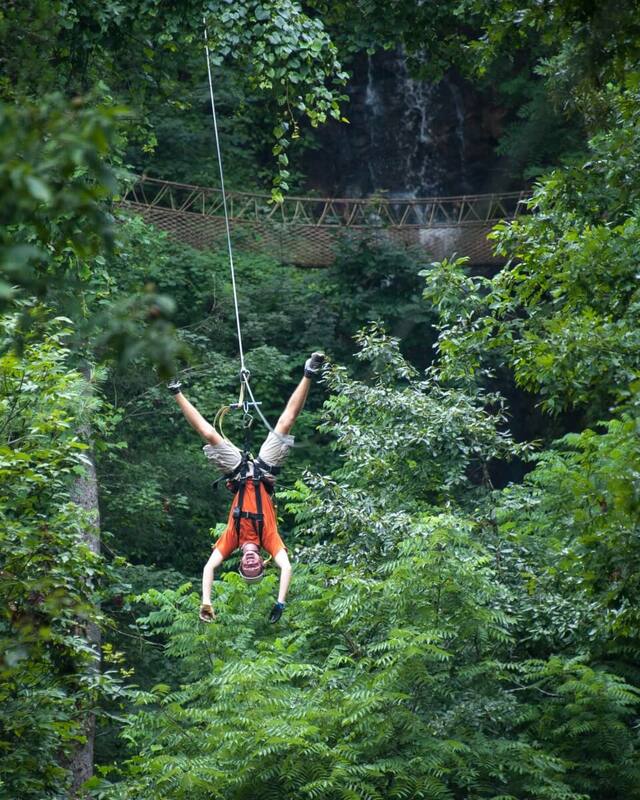 Choose between the Scenic Waterfall Canopy Tour or the Goliath Zip Line. 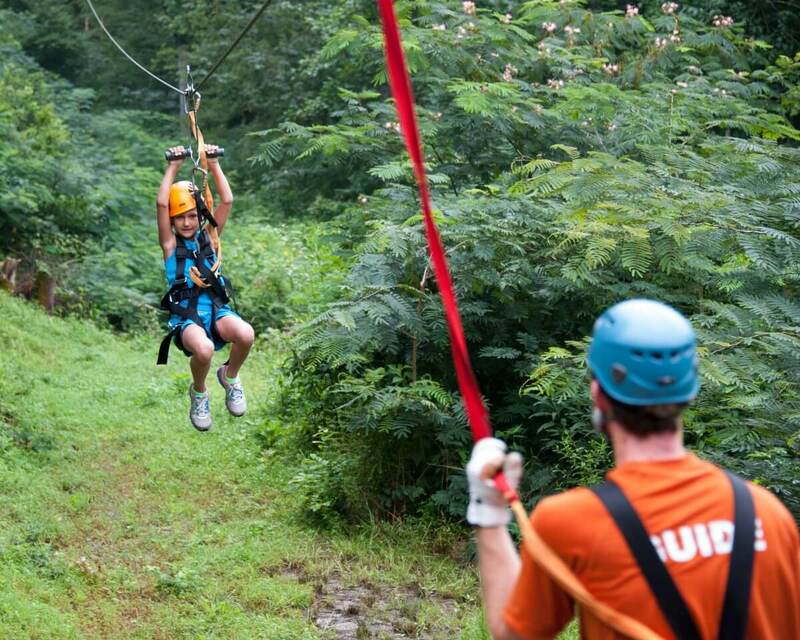 Our 7-line Scenic Waterfall Canopy Tour is one of the most scenic zip lines in the country. It has wonderful mountain vistas as you fly over mountains, creeks, fields, forests, and a magnificent waterfall. 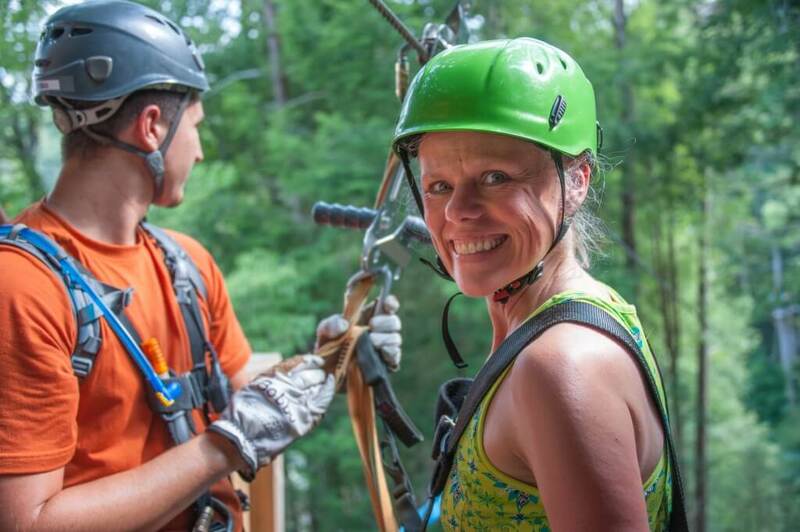 This is a wonderful 2-hour tour for beginners and intermediate zippers as it starts you out on short, easy lines and progresses you to higher and longer lines until finally you have zipped a quarter-mile single zip line and conquered any fears you may have had in the beginning. 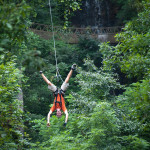 For those experienced zip liners we challenge you to take on Goliath, our newest and highest zip line. 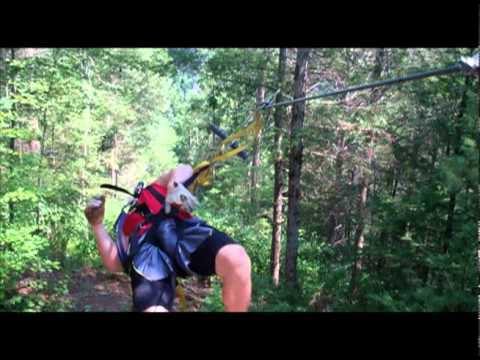 Goliath is the newest and highest zip line at Foxfire Mountain. 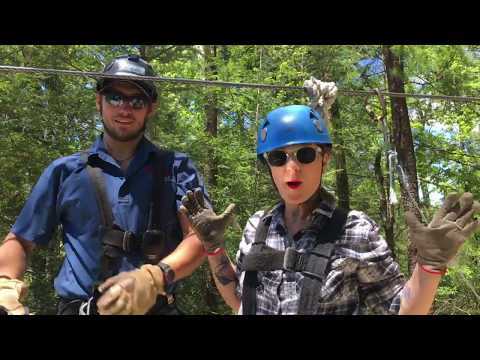 In fact, at 475 feet in height, Goliath is the highest zip line in the south and the second highest in the United States. Goliath is more than 2,100 feet long and hangs an unbelievable 475 above the ground. 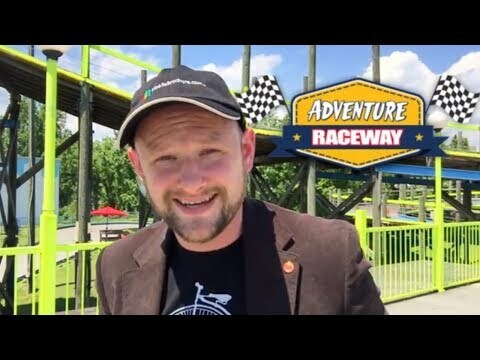 How high is 475 feet? Consider this, the Statue of Liberty is 305 feet from ground to torch. 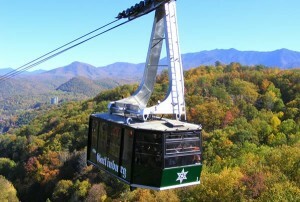 The Space Needle in Gatlinburg is 407 feet to the platform. Goliath towers over both these famous attractions. 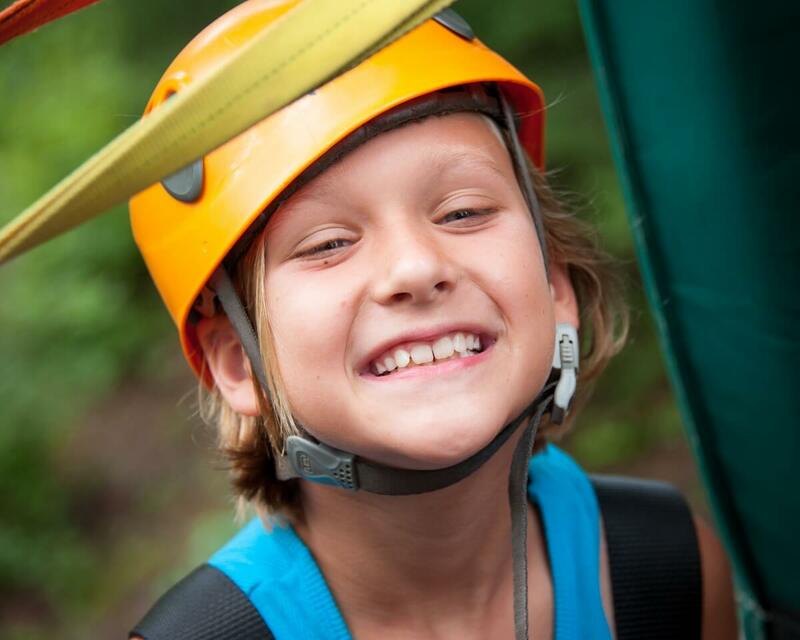 The 12 element Aerial Ropes Course is an aerial adventure course that will surely test your agility on multiple tree-to-tree obstacles and 2 creek-crossing zip lines on this brand new adventure. 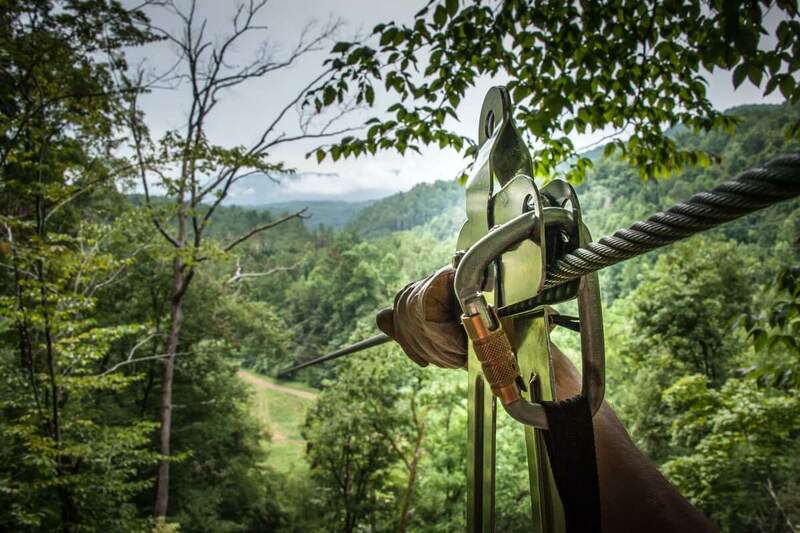 This course is situated in the trees above Dunn’s Creek Gorge, providing a challenging experience for the outdoor enthusiast. 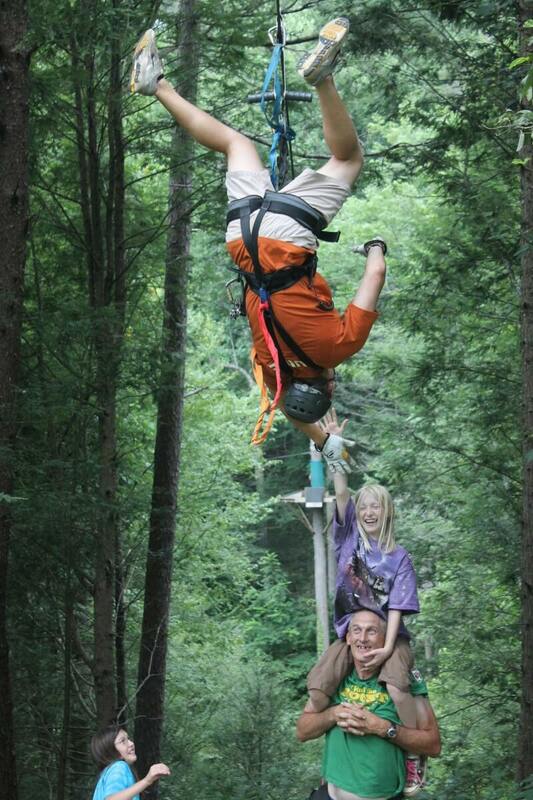 Test your balance and your mind when you snake your way through the ropes course. The Gorilla is the highest climbing wall in the Volunteer State. 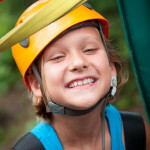 It features 60 feet of obstacles, rocks and ledges that will challenge the skills of climbers of all levels. 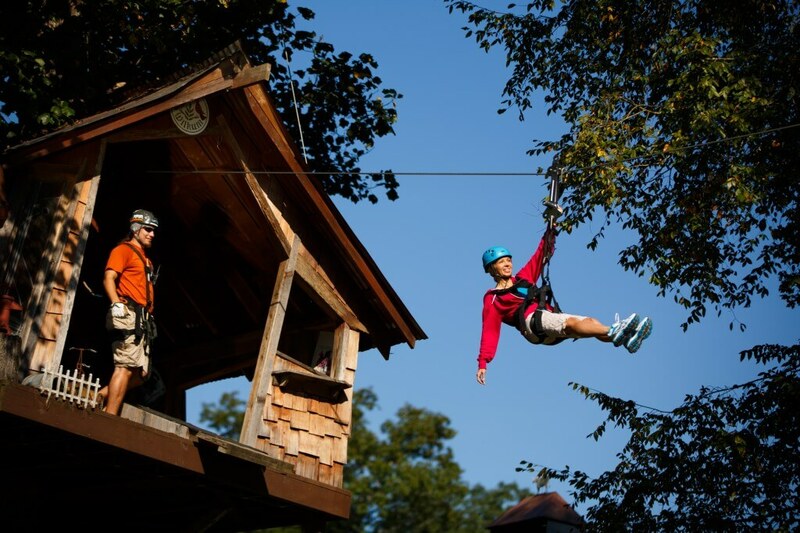 Guests are harnessed in and have 5 separate routes of difficulty to choose from as they climb to the top and ring the bell of success. Their descent is gracefully stopped by a state-of-the-art automatic braking system that gently lowers you to the ground. So come on and defy gravity, climb the Gorilla and experience the rush. Maybe you want to keep your feet on the ground for a little while. 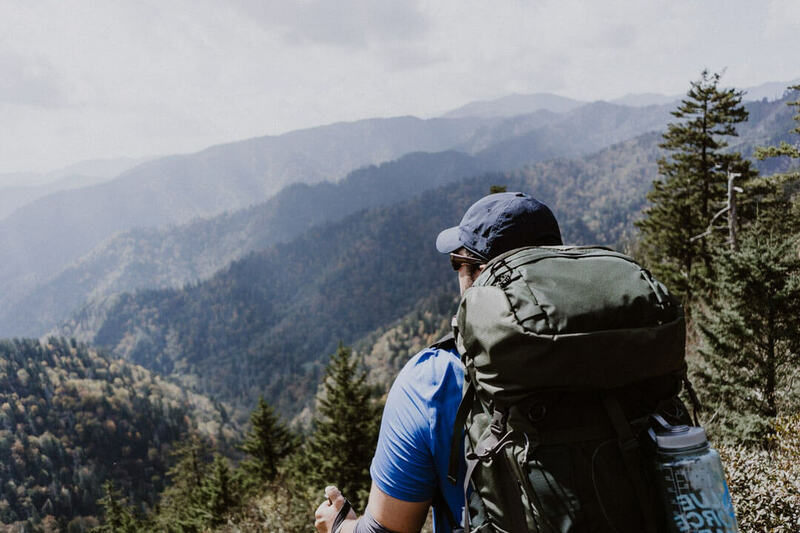 If so, sign up for the 8-wheel drive amphibious Bear Crawler Tour, or explore Foxfire’s labyrinth of hiking trails & bridges, including America’s Longest Swinging Bridge, or you may enjoy some great southern BBQ, or just relax on a rocking chair on the base camp trail. 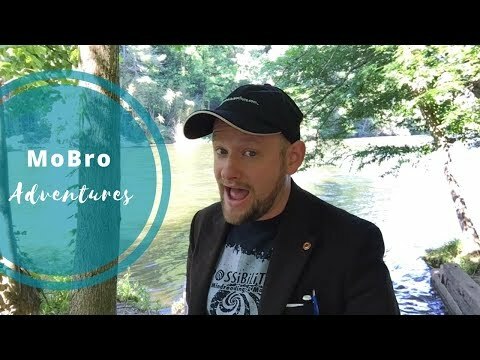 You will enjoy our unique Bear Crawler ATV Guided Tours. Our 8-wheeled Bear Crawler is one of the toughest vehicles ever manufactured. Our trained guides and this rugged amphibious vehicle will allow you to explore the forest, creeks, and wonder of the Smoky Mountains in a way you never imagined. 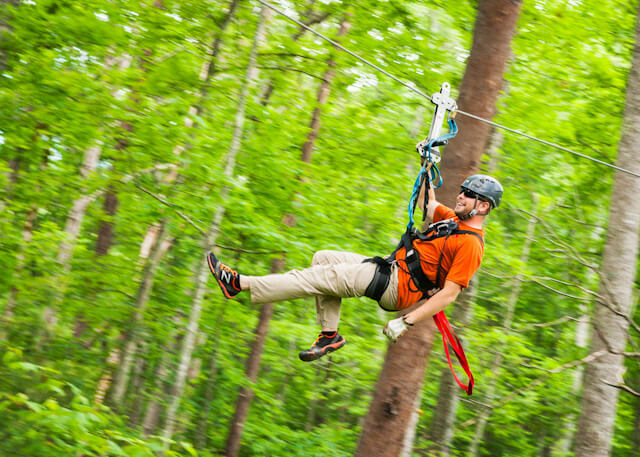 This is a white-knuckled excursion that will keep you exhilarated as you climb steep mountains, bounce along rugged outback trails, and splash through the creeks on Foxfire Mountain. You will visit a 75-foot waterfall, historic cemeteries, exotic Watusi (big horned cows), and see beautiful mountain vistas. When you return to base camp after this one-hour tour you will be exhausted but wanting for more. Maybe you would like to take in some magnificent scenery. If that’s your interest then you will enjoy our Bridge to Prosperity. At 355 feet long, it is the longest suspension bridge in the United States that spans more than the length of a football field. 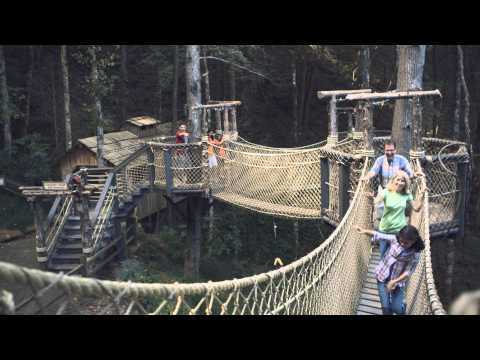 It hangs 70 feet above a creek and extends up to a walking canopy tour where you can walk from tree to tree on rope bridges. 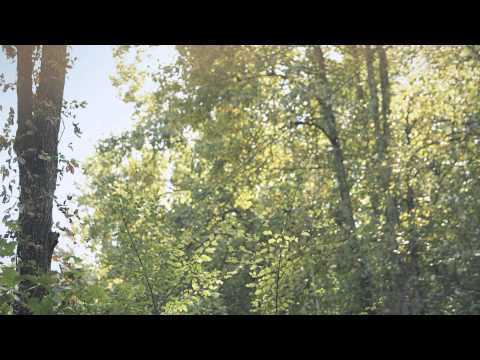 Sit down and relax for just a few moments and catch your breath and take in the beautiful scenery. But your adventure isn’t over yet. From this rest area you can take a half-mile hike up a Foxfire trail to a 75-foot waterfall. 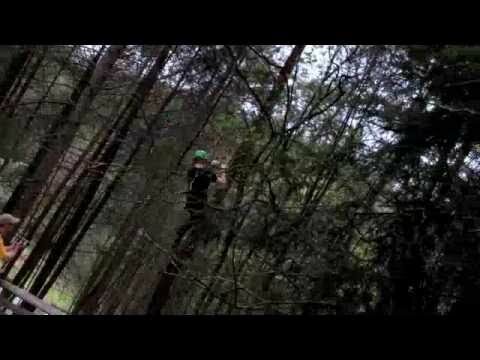 Be sure to bring the camera because the scenery is unforgettable. Once at the top you can begin a slow, leisurely descent down the mountain and back across the bridge and take the next hiking trail to the Enchanted Forest. 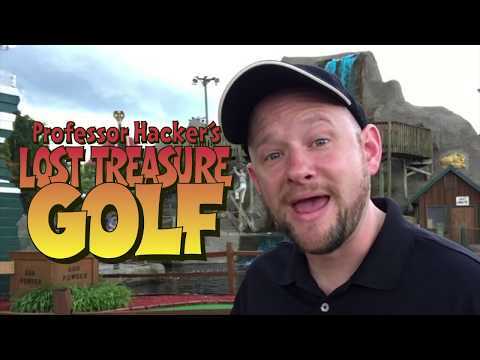 This trail takes you to Little Adventure Obstacle Course, a play area where kids attempt to make it through a 12-element obstacle course without setting a foot on ground. 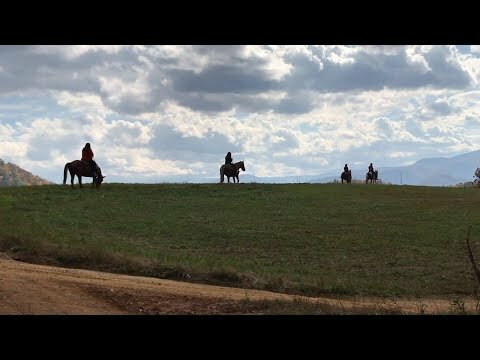 This trail also takes hikers across a pasture where they will encounter llamas and Watusi, African cattle with large, unusual but distinctive horns that are used as a unique cooling system for the animal. After an afternoon of adventure you may have developed a bear sized appetite. 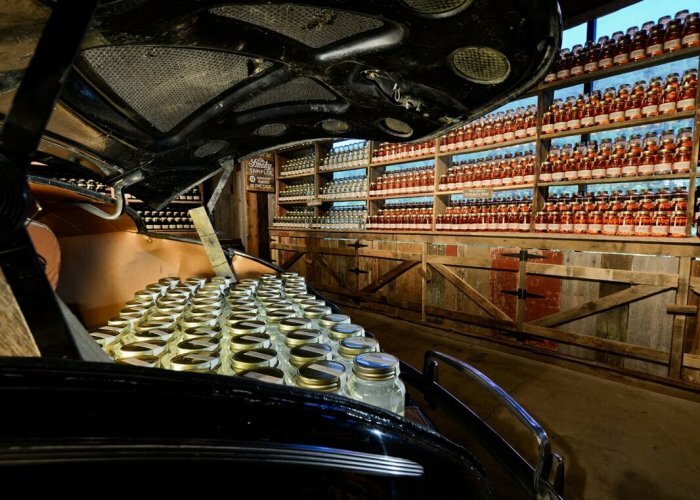 Our Zippin’ Pig Barbecue Shack serves up succulent fall-off-the-bone barbecue and other southern delicacies that will satisfy any appetite. We provide a screened in pavilion so that you may sit down with your family and enjoy your meal and discuss the day’s events in comfort. 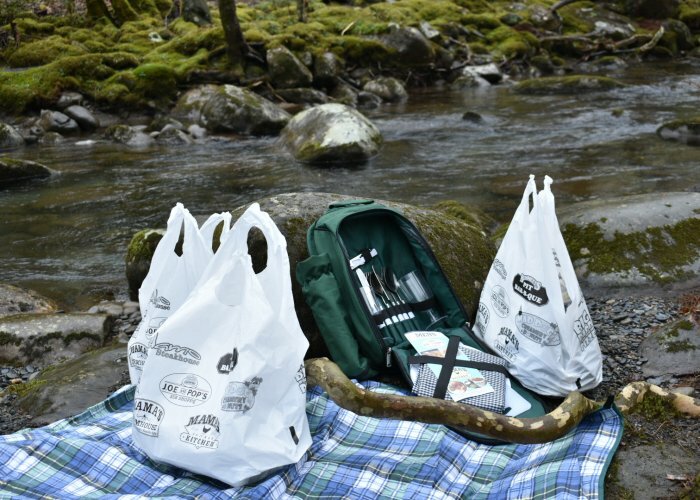 Please feel free to bring your own picnic lunch if you wish. After lunch you may want to sit back and relax on our rocking-chair porch or climb the 60-foot observation tower and take in the scenery. Or maybe you might want to challenge your family to a friendly game of corn-hole in front of the Zippin’ Pig BBQ Shack. If you are craving some sweet treats before heading back to your adventures, then try some of our homemade ice cream or fresh squeezed lemonade that will cool you off before going back to the zip lines. 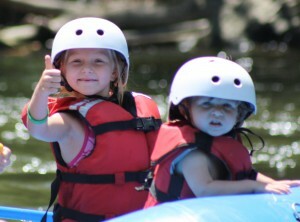 Foxfire Mountain is the vacation destination of choice for families from around the world. We look forward to having your family experience all the fun, excitement and adventure that awaits you on our 150-acre adventure theme park. So give us a call. 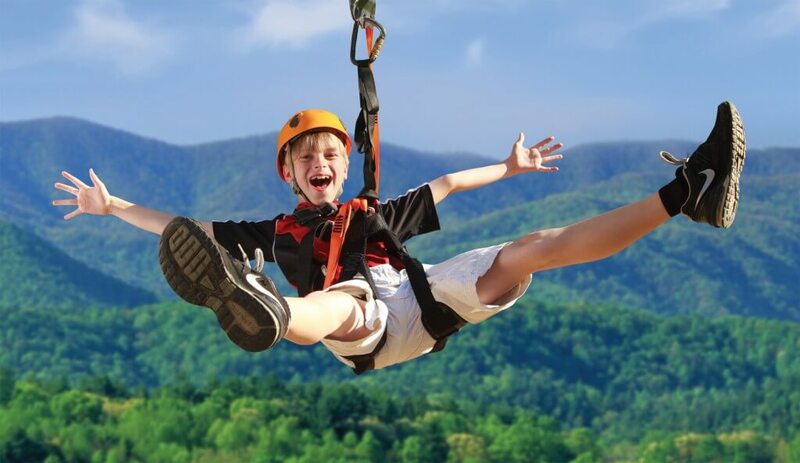 Our friendly reservationists will be happy to help you plan an adrenaline pumping vacation that will create a lifetime of wonderful memories. 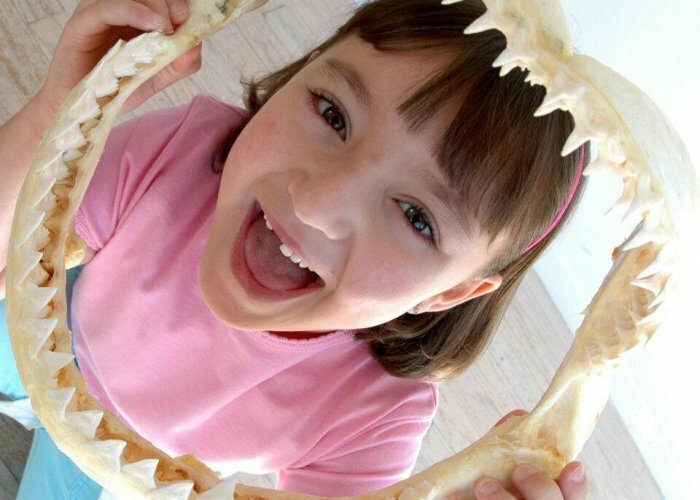 Call us at 865-453-1998 or visit our website.